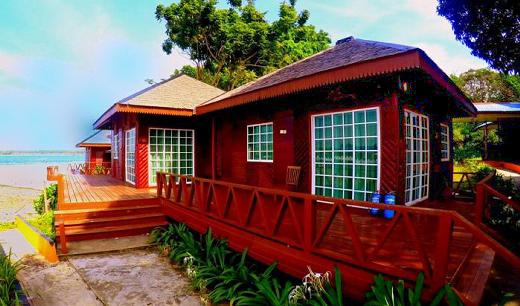 Scuba Tiger is a holiday resort ideally suited for travellers on a budget and presents a unique opportunity very different from other local resorts. The resort is closely linked to Semporna surrounding villages and offers unique cultural visits opportunities. The PADI dive centre within Scuba Tiger Semporna Holiday Resort has a number of very knowledgeable and multilingual local dive instructors and dive masters who will be happy to show you the wonders below the water’s surface. The water sports team is sure to offer plenty for the adrenaline-seekers. The resort boasts jet skis, flying fish, banana boats as well as water tricycles for those looking to have fun above the water. Regardless of your choice, if you are a budget traveller looking to have an adventure, Scuba Tiger is your best choice. The Tiger Lodge is a simple dormitory style layout with single size upper and lower bunks. The 6 Longhouse rooms are also dormitory style layout but have bunk beds that sleep 3 in a double and single bed arrangement. There are also 7 Chalets and 2 Water Bungalows available at the resort.